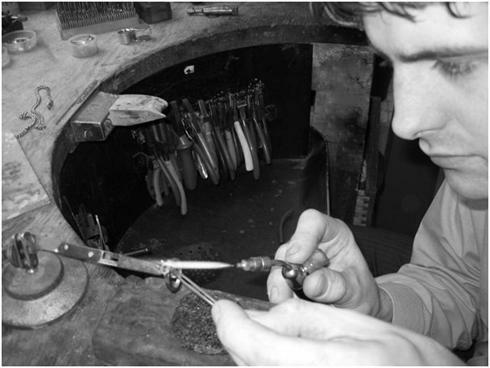 From broken necklaces to the full restoration of an antique piece, we are happy to quote on any jewellery repair work. We are more than happy to re-size rings, repair snapped chain, restore worn settings and supply and fit new fastens or catches to your jewellery. Other work that is popular currently is the re-modelling of wedding rings. Our workshop has the most up to date equipment enabling us to carry out work that was previously impossible with traditional tools and skill. With every repair we undertake we provide a quote on costs and timescales, once the customer has agreed to this quote, the work is then completed and swiftly returned to them. Your most treasured possessions remain insured and secure on our premises at all times. Obviously being fully trained watchmakers we have contrived and hoarded a vast collection of vintage and rare watch parts, both for pocket and wristwatches alike. If indeed in this last few years you experienced difficulty or not felt confident enough to have a repair undertaken then don’t hesitate, we are professionals and we specialise in quality watch repairs on quality watches. All watches are repaired on the premises, and with every full service, the watch will be completed with a twelve month guarantee.